On Tuesday 22 July, Vera Hur talked about modulational instability in a model equation with nonlocal dispersion. The equation was of the form with quadratic nonlinearity n(u) and L a pseudo-differential operator. Existence results for the steady travelling waves are proved in a variational setting using a mountain pass argument. 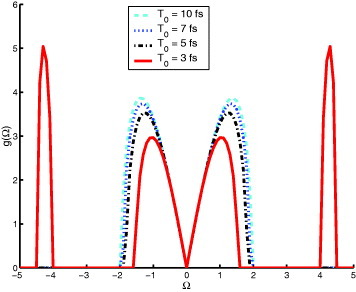 Stability is studied using a Floquet-Bloch decomposition of the perturbations, and then restricting the Floquet-Bloch exponent to be a small interval around zero. The theory was applied to periodic travelling waves of the Benjamin-Ono equation (all stable), KdV equation (all stable), the Whitham equation which showed instability when the wavenumber of the travelling wave exceeded 1.14…, similar to water waves. The addition of surface tension to the Whitham equation led to a parameter space structure very similar to that shown in Djordjevic & Redekopp (1977) based on an NLS/BRDS model of water waves. Papers on the above theory can be found on the arXiv: Bronski & Hur (2013) and Hur & Johnson (2014). A video of the talk is available here.